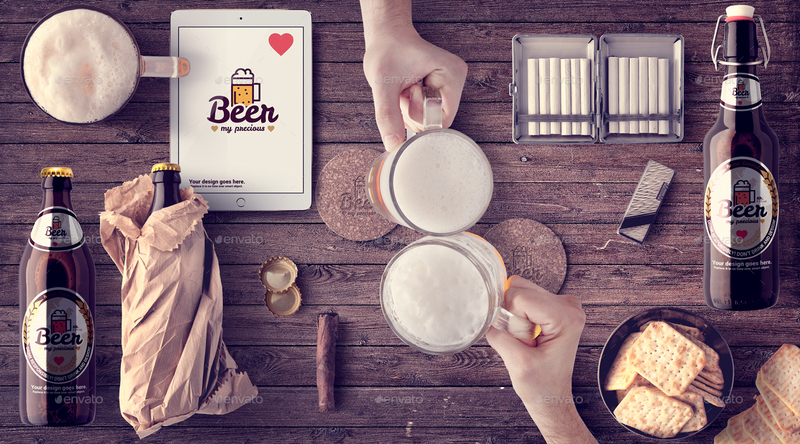 Beer & Bar mockup is scene generator that help you to create beautiful hero images for print and website headers. Just drag & drop HQ original photos into premade psd files and generate graphic in just few minutes. Hero images are must-have graphic in trending web design. So we made a bunch of professional, original and beautiful photos that can be used in large and attractive headers & sliders from your website. All can be combine together with no additional retouching. Over this we make it in high resolution that also can be used in graphic design for print. 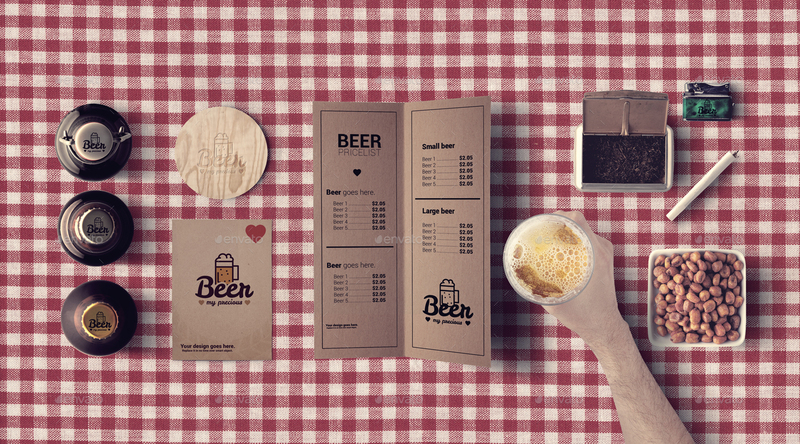 This is also editable mockup and scene generator. You don’t need to be expert in Photoshop to make hero images. Just drag & drop isolated objects in our prepared basic file, choose one of premade textures and backgrounds, adjust and combine by your wish professionally made color preset and you are done. Piece of cake. 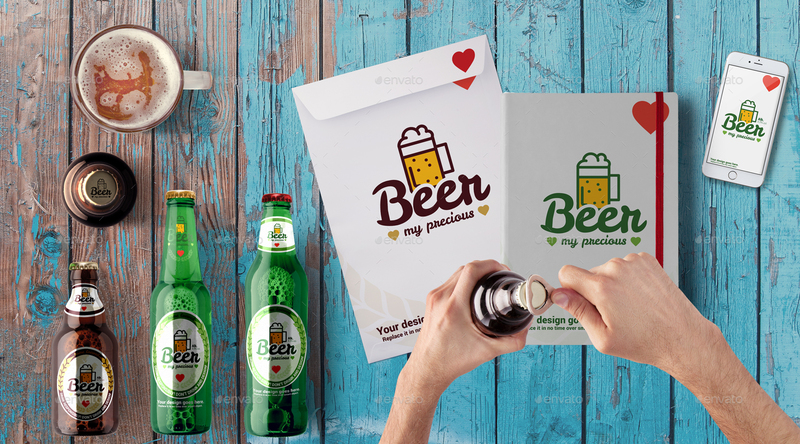 Even more you can add your design in branding mockups to make presentation of your work. Top view – we photographed all from top view. 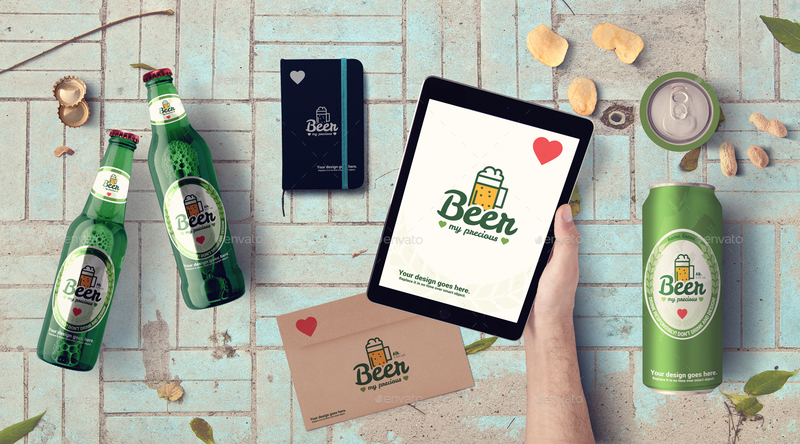 It’s suitable for presentation of branding design of your work and of course hero images for websites. 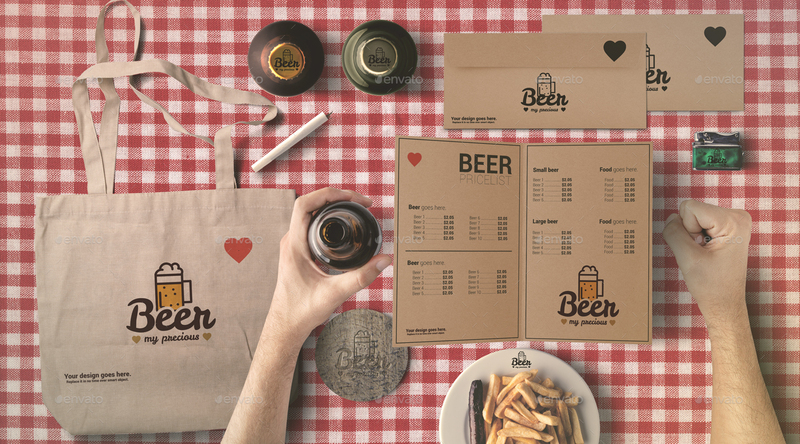 Can be used for websites for pubs, restaurants, caffe bars and more. It’s also great for making print graphic like posters, flayers, editorials etc. and can be used for, banners, ads and a lot more. Idea was to make scene generator that allows easy and quick making professional print graphic that will make your clients wow-face. And you do it in 5 minutes. 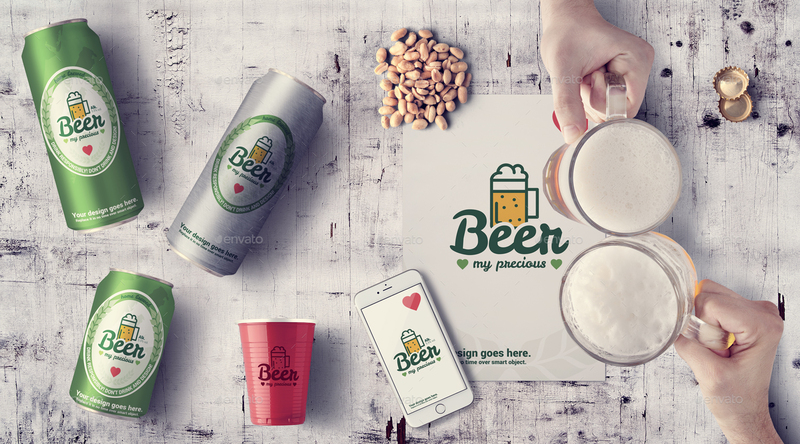 150+ isolated images – bottles, cans, stationary, screens, some snacks and more – all items we choose to help to combine any graphic in relation with beer. For complete aesthetic joy we add branding elements and three screens. 12 premade scenes – print ready high resolution 4500×2500px, 300dpi – to make all this more easier for you we prepared 12 premade scenes. In this premade scenes just add your graphic, your/client logo over double-click smart object, export it for web or print and you are done. No more than that. 15 prepared and changeable textures and backgrounds – 14 textures, color changeable solid background (choose any color you wish) – change and choose textures that fit best to your hero image. We choose and prepare them to be in trend with new web design tendencies. You just choose again. 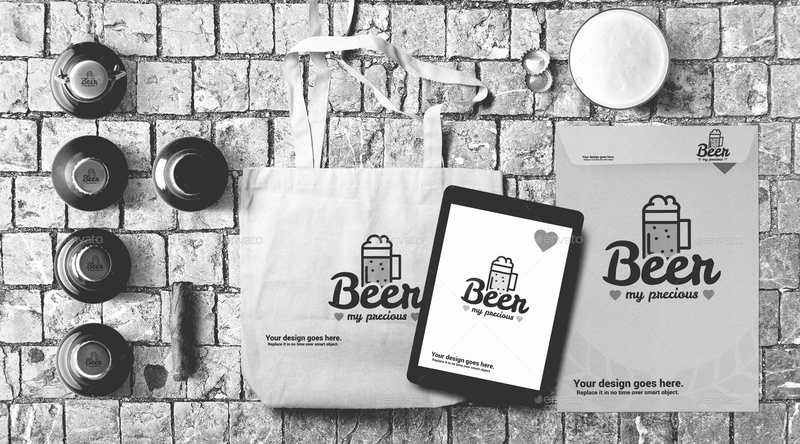 Bunch of branding mockups with smart objects – paper bags, packages, notebooks, papers – if you are designer and you want to present your work this is for you. Over double-click smart object you can put your design in few minutes. Just drag & drop your design in smart object, save it and your beautiful design will look even more beautiful in our scene generator. Also you can check our dark side – we are also Android apps developers. Check our Android app templates. We are offering FREE SUPERB after sales support around. We care about our customers and we will help you in any way possible.